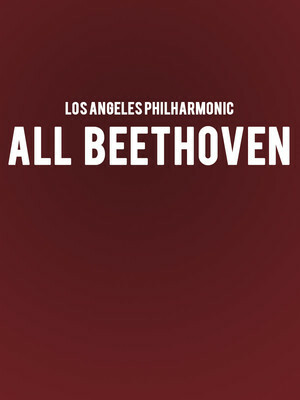 Join Los Angeles Philharmonic for a full evening of Beethoven. Why See Los Angeles Philharmonic - All Beethoven? Member of the Los Angeles Philharmonic invite you to relax and unwind with the earlier pieces by the legendary Beethoven, including his most popular piece of work, his Septet which he completed and first performed in the 1800s. 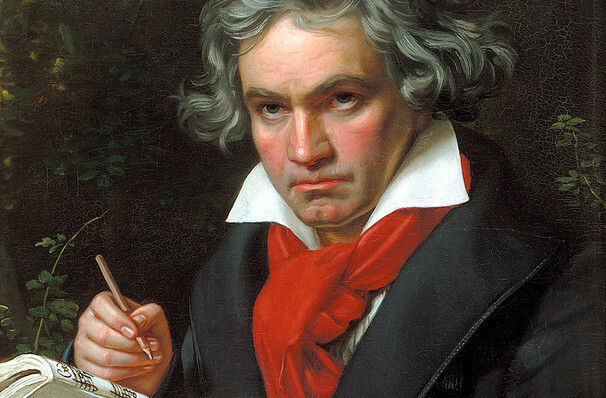 For many years it was believed that Beethoven was born in 1772, It was later discovered that he was in fact born in 1770! People believe that his father created this false date in order to make his sons talent seem more advanced than they were. People are also considering that he may have also lied so who son would be compared to Mozart, who was considered a child prodigy. Sound good to you? Share this page on social media and let your friends know about Los Angeles Philharmonic - All Beethoven at Walt Disney Concert Hall. Please note: The term Walt Disney Concert Hall and/or Los Angeles Philharmonic - All Beethoven as well as all associated graphics, logos, and/or other trademarks, tradenames or copyrights are the property of the Walt Disney Concert Hall and/or Los Angeles Philharmonic - All Beethoven and are used herein for factual descriptive purposes only. We are in no way associated with or authorized by the Walt Disney Concert Hall and/or Los Angeles Philharmonic - All Beethoven and neither that entity nor any of its affiliates have licensed or endorsed us to sell tickets, goods and or services in conjunction with their events.